Let your search for a Lake Martin real estate professional end here. 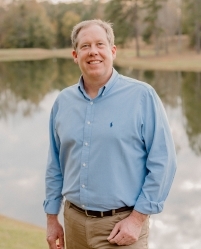 Please explore the resources within my website, you will find everything you need to buy or sell a Lake Martin home as well as learn about the market value of homes for sale on Lake Martin. You can search for Lake Martin Real Estate with detailed descriptions, photos, community and neighborhood information and so much more. As a full-timeLake Martin real estate professional, I am ready to assist you with all of your real estate needs. My approach is customized for each client; my solutions are never one-size-fits-all! Please view this website as an introduction of my services and capabilities in the Lake Martin area. Give me a call or send an email when you are ready to visit some lake homes or to schedule a free home buying or selling consultation. I look forward to the opportunity to work with you! Beautiful peninsula lot located in the heart of Lake Martin. Sea wall already installed! Come check this extraordinary piece of property out to build your dream home with one of the most extravagant views on the lake!